Up in the Catskill Mountaintop villages of Hunter, Tannersville and Maplecrest, an exciting, serious, highly ambitious and forward-reaching plan is taking hold. A plan that not only borrows from the past to revive the present, but also to secure the future of of a rich artistic heritage while putting money back into the local economy. It isn’t the first time that a town or region has turned to the arts to rekindle public interest and growth. But rest assured, you’d be hard pressed to find a plan that could match the scale, scope and magnitude of the one that the Catskill Mountain Foundation began here ten years ago. The premise was simple. Since the early 19th century, the arts have been a vital part of Mountaintop culture. Painters, poets, playwrights and artists of every other kind, style and medium have been drawn here by its native soul and spirit. Washington Irving found inspiration along its forested roads and trails. The venerated masters of the Hudson River School worked and flourished right here among its peaks, streams and sunsets. But as the years passed and populations and interests changed, these communities began to wane. In time, the results were closed resorts, empty stores, deteriorating structures and abandoned properties. And for seasonal operations like skiing, a changing climate meant inconsistent snowfall and an uneven flow of business. By the mid ‘90s, Peter and Sarah Finn — each with strong personal and artistic ties to the Mountaintop region and the New York theatre and entertainment communities — looked around and saw an opportunity. A chance to invoke the region’s rich artistic culture to energize, connect and transform these Mountaintop villages into a national and international art destination centered on the performing arts, art education and sustainable living. And, in doing so, put money back into these communities by creating jobs for residents and by bringing visitors — and revenue — to local businesses year-round. In 1998, they established the Catskill Mountain Foundation. It was a huge undertaking. And today, as the Foundation celebrates its 10th anniversary, it still is. But in that time incredible progress has been made. To date, nearly $30 million in donations from private sources and public funding from local, state and federal governments, major partnerships, as well as revenues from the Foundation’s own operations have been generated. With that funding, the Foundation has been able to reclaim and adapt existing structures and turn them into theatres for film and digital media. Construct state-of-the-art performance centers for music, dance, theatrical presentations and concerts. Conduct cultural and music festivals. Create galleries, libraries and museum, cafés, a farmer’s market and bookstore. And establish an unparalleled creative art center where people of all ages can study everything from ceramics and painting to photography, digital media and more. you with his playing of Rachmaninoff, Beethoven and Chopin on instruments dating back to the time of Michelangelo and Mozart — some with links to Tsar Nicholas I, Queen Victoria and other prominent people and places. Across the street the gleaming Hunter Village Square stands where a gas station once did. Here you can browse and shop among original, locally created works of art in the gallery and craft shop, and enjoy lunch in the Fresh Harvest Café and Market. A few steps away, The Village Bookstore, with over 10,000 titles, includes the one area’s largest selections of regional books while also offering a true literary experience with regularly scheduled readings of popular books for children, as well as readings of poetry and prose by authors that have included Francine Prose and Debra Winger. And on the way out you can pick up a copy of the Catskill Mountain Region Guide, the Foundation’s free monthly magazine. A few miles down the road in Tannersville, a small, run-down 1930s movie house is well on its way to becoming the glittering, totally renovated and expanded, 270-seat Orpheum Performing Arts Center. Scheduled to open its doors next year, it will be one of the very few professional centers in the region with a stage, state-of-the-art lighting, dressing rooms and other facilities grand enough to attract and accommodate the finest professional dance, theatre and orchestral companies and performers. In nearby Maplecrest, one of the finest, most innovative art education and natural farming programs anywhere is well underway — and still growing. Situated on land donated to the Foundation, this one-time resort is now the Sugar Maples Center for Creative Arts. Many of the resort’s old buildings have been reclaimed and modernized to make room for sophisticated, fully equipped classrooms and studios where a full range of courses and programs are conducted. And given new life as well-appointed housing for students and teachers alike. The Sugar Maples Center provides the perfect setting for students from across the United States to come to the Catskills to live and learn from some of the most talented and accomplished instructors in ceramics, fiber arts, painting and drawing jewelry making woodworking, photography, music theatre, digital arts. The Foundation also hosts a variety of exciting festivals and special programs. They include the Mountaintop Culture Festival that celebrates Catskill culture through music, film, fine arts and crafts. The Amati Music Festival that gathers some of the best international young student performers to help them practice and enhance their skills for two weeks at a time in the summer. In the Orchard Project, a student-apprentice, in-residence theatre arts program, participants get the instruction and rehearsal space they need to develop their work. And just this year, the Foundation welcomed the faculty and students of the Hudson River School for Landscape Painting, and its critically acclaimed founder, Jacob Collins. This is the only landscape painting school in the United States that focuses on the work of the Hudson River School masters. Also at Sugar Maples, just a short walk down the road, the Foundation’s Natural Agriculture Program, in partnership with the Shumei organization of Japan, teaches and practices the art of natural agriculture. Here, no chemicals or fertilizers, including manure, are used. Crops of carrots, tomatoes, lettuce, peas and other foods are grown instead in pure soil and water, enriched only by naturally occurring nutrients in the surrounding environment. As a result of the Shumei method, these crops are more resistant to disease, taste better, stay fresh longer and are more nutritious than those produced by standard industrial farming. The Shumei philosophy also reveres and promotes a deep, almost spiritual harmony between the work of the farmers who cultivate the crops and those who eat the foods they grow; healthier foods results in healthier people. And because crops grown and distributed locally, their overall carbon footprint is far smaller than crops grown and shipped hundreds or thousands of miles away, all of which creates a healthier environment for everyone. Under the direction of Kenji Ban, this 4.5-acre farm represents the center of the Foundation’s sustainable living goals. And serves as an educational center of teaching and learning for students and visitors. Other initiatives that the Foundation plans, and, in time, will achieve is establishing renewable energy systems, including solar, to provide locally generated power to the entire 130-acre Sugar Maples campus. The ongoing story of the Catskill Mountain Foundation is really one big story with many smaller stories inside — all being written at the very same time. But there is still more work to be done, and many more years to go until this tremendous plan is fully realized. But as it stands now, the Foundation and all of its work and progress in the performing arts, education, natural agriculture and sustainable living — and giving back to local communities — also makes it one of the most exciting , inspirational and entertaining destinations ever created in the Mountaintop region. And with several good hotels and bed & breakfasts in the immediate area, all just two hours away from the Lower Hudson Valley, it’s a place everyone and their families should see, experience and enjoy for themselves. For more information on the Catskill Mountain Foundation, including all of their upcoming performances, films, special events, courses, activities, The Pleshakov Piano Museum, Shumei and more, visit www.catskillmtn.org. 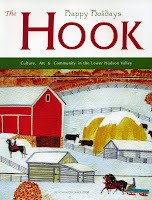 Note: The Hook expresses its sincere thanks to everyone at the Catskill Mountain Foundation, especially Peter Barker, Executive Director, Pam Weisberg, Director of the Performing Arts and Carolyn Bennett, Director of the Hudson Square Bookstore. And thanks as well to Stefanie Josec, proprietor of the Washington Irving Inn in Hunter for all her hospitality.